When I think of coloring, I think back to a time when I was a young girl sifting through my shoe box full of crayons looking for that perfect color to color in the hair on my mermaid barbie coloring page. Coloring was a fun activity for me as a kid, I always stuffed my backpacks full of the coloring books lining my bookshelves when I left for school. Holidays always meant a new coloring book for me from my mom, whether it was a Mickey Mouse Halloween book, a Barbie Christmas book adorned with Christmas ball gowns and presents, or Lisa Frank coloring books filled with cute animals to color in. I always looked forward to getting my new coloring books and if I was lucky enough, they might have been paired with some new glitter crayons or something cool like that. Like many things though, I grew out of this phase and moved onto friendship bracelet making and more. Now, as a mom, I too get the joy of buying my kids coloring books for different occasions or in characters that they get excited about. When the adult coloring book fad started a few years back, I admit, I was a bit excited about it. I remember loving coloring so much as a child and thought it could be a fun activity to dabble in every once and a while. For my birthday a few years back, my friend got me a charming floral adult coloring book with this beautiful set of colored pencils I could use to color in my creations. I absolutely loved it and found it almost therapeutic. I would set time aside every week to color in my coloring book while my boys colored in their coloring books. It was a fun, family thing to do together, but it wasn’t just fun it was also beneficial to our minds, and much more. 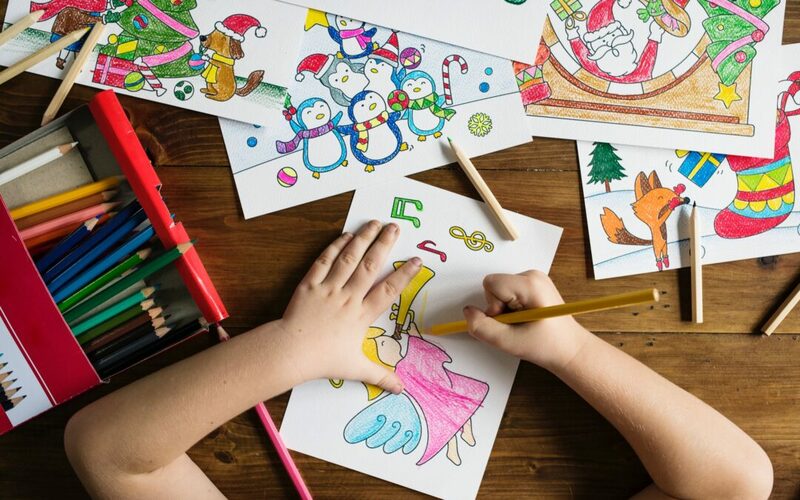 See why coloring for kids and adults can be beneficial, and fun! Never be afraid to color outside the lines!